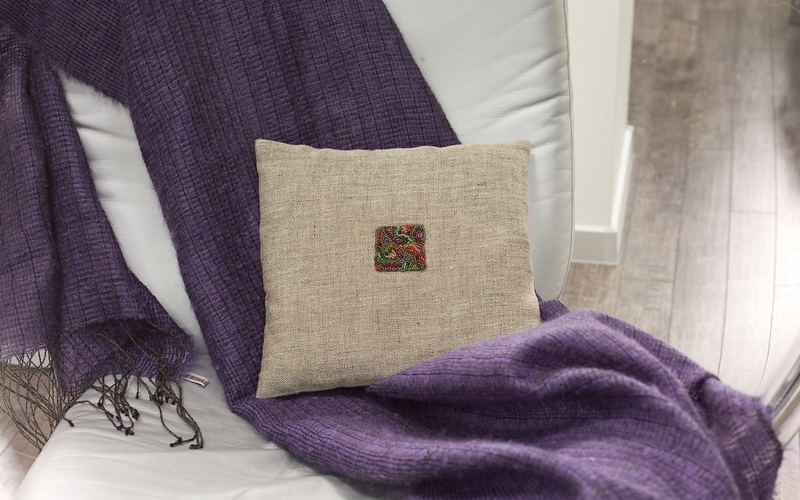 If you are interested in purchasing hand made linen lifestyle products for the home, please click on Shop Onine, to see a range of items I have personally selected. The linen home lifestyle soft furnishings are exclusively made in Latvia by Studio Natural and are all hand woven. The range includes beautifull linen bed coverings, pillow covers, stunning metal threaded linen cushions and lots more. If you have any enquiries, please do get in touch! Also, if you are looking for products for your own business and are considering a visit to Latvia and require a guide, please contact me and I can arrange a visit and demonstration of linen weaving. Well known Latvian textile artist Laima Kaugure designs and oversees the creation of each item. The lavish cushions include natural fibres - silk, wool, mohair and metal thread. Studio Natural's designs are known for their elegant simplicity and panache and the company has devottes from Europe, America, Asia, Australia and Russia.